Mitsubishi Motors in the UK is continuing its drive to encourage customers to scrap their older, higher-emission vehicle and purchase a new, low-emission Mitsubishi with the extension of its scrappage scheme. Now available until 27th March 2018, the scheme invites customers to enjoy generous scrappage allowances on some of the most popular Mitsubishi models when they are trading in a vehicle that is registered before January 2010. 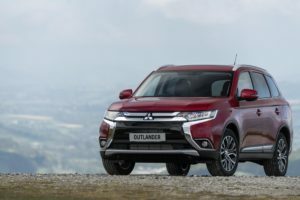 In addition to giving motorists extra time to take advantage of its scrappage scheme, Mitsubishi Motors has also increased the scrappage allowance on the seven-seat Mitsubishi Outlander diesel to £5,000. A scrappage allowance of £4,000 is also available to customers who wish to buy the ultra-low emission Mitsubishi Outlander PHEV. By choosing the Outlander PHEV, customers not only benefit from CO2 emissions of 41g/km and up to 166 mpg (official combined cycle), but also the £2,500 plug-in car grant (PiCG) for a total saving of £6,500. The scheme also provides a £3,000 scrappage allowance on the Mitsubishi ASX. All Mitsubishi models on the scrappage scheme are available with an exclusive 5.9 per cent APR Representative PCP finance offer.